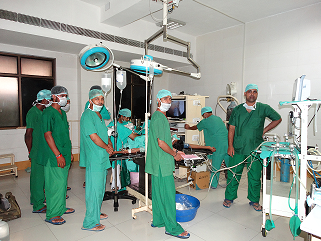 Department of Anesthesiology at HIND Medical College is one of the largest departments, which has over the years expanded from a nuclear family to a large joint family. The department was set up in 2008. Over the years, along with the development of medical sciences, the department has set up its own high standards in patient care, education and research. All clinical departments are anchored to this specialty. Residents join this department from various parts of the country. The department follows an integrated approach and standard protocols for patient care, education and research. The department runs Pre Anesthesia Clinic on every day 9 AM - 4 PM in PAC room. Pain Clinic is run every day between 10 AM - 01 PM. In the pain clinic facilities for various modalities of pain therapy viz. regional blocks, neurolytic block with or without ultrasound aid. Ozone therapy under fluoroscopy is available. Faculty and residents are encouraged to attend, present scientific papers in national and international conferences. Dept. is also responsible to run Critical Care services of 51 beds including Surgical ICU, Resp ICU, Medicine ICU, Cardiac Care ICU etc under a dedicated and full time Anesthesiologists. Dept. is also managing central sterilization supply dept. (CSSD) and hospital medical gas pipeline supply system including liquid oxygen plant. Dept. is also running CPR courses / workshop for Doctor / Residents and Non Teaching Staff. A AHA accredited BLS/ ACLS workshop with the help of AHA recognized faculty. Dept. has unique CPR Lab at CPR Training Center at the Dept. It is now catering for needs of all doctors / residents / non teaching staff / corporate / community by offering appropriate courses to all categories. To provide high standard training to undergraduates, interns and postgraduate students as per prescribed MCI syllabus and its objectives. To ensure that department produces good specialist with right attitude towards patients and community as a whole. 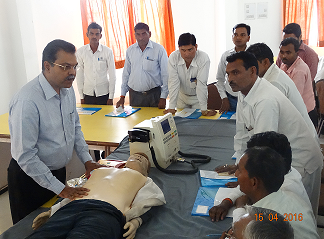 To provide training and conduct courses for OT technician of two years duration as per guidelines issued by UP State Medical Faculty, Lucknow. 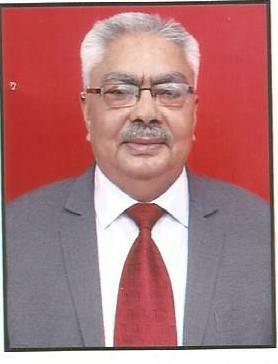 To train B.Sc. Nursing and other paramedical personnel in necessary theoretical and practical knowledge so as to make then competent in providing skills to handle surgical cases in operation theatre environment or outside OT in critically ill patients. To ensure that all categories of personnel falling within preview of training in the Dept. of Anesthesiology & Critical Care becomes confident to provide Basic Life Support (BLS) or Advance Cardiac Life Support (ACLS) for Resident & Doctor. To provide support services in remote location in CT / MRI Suites, Psychiatry Dept. 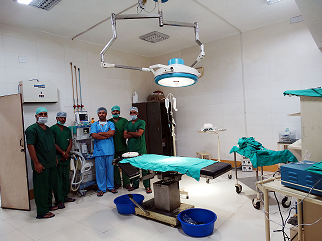 and Interventional products undertaken in various other dept. 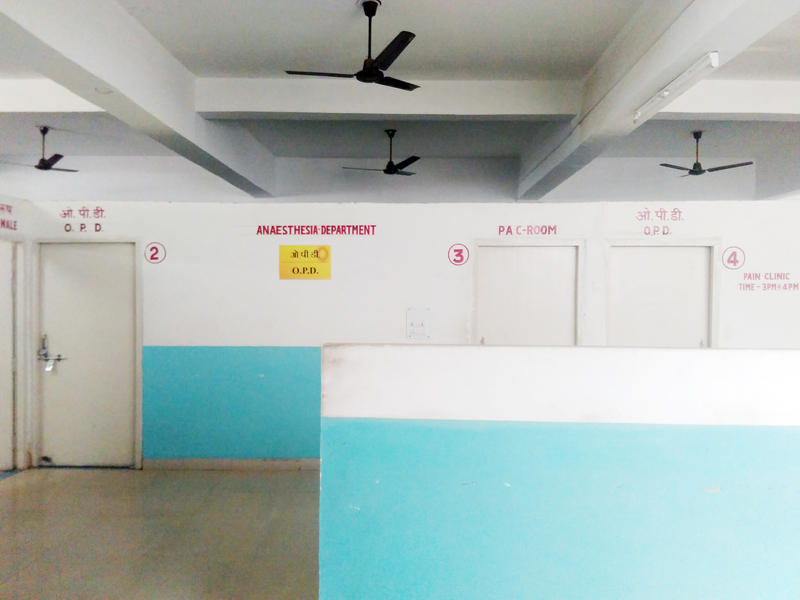 To provide management of Critically Patients in all ICU's through open type system round the clock. To provide Pain and Palliative Care services. An intense academics programmes is followed in the Depts by organizing and conducting seminars, symposium, tutorials, case presentation, journal's club, brain storming sessions on regular basis. Faculty indulges in didactic lectures, tutorials, problem solving skills training to postgraduate students. Integrated / inter departmental seminars are held regularly. 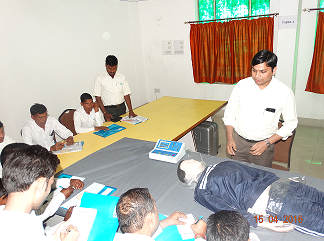 Emphasis is given on hands on training in performing various procedures in OTs and ICUs. Objective structed clinical practical exam (OSCE / OSPE) conducted as main tool for frequent formative assessments of the post graduate students. Following are the departments: General Surgery, Laparoscopic Surgery, ENT Surgery, Ophthalmology Surgery, Orthopaedics Surgery, Paediatrics Surgery, Plastic Surgery, Uro Surgery, Dental Surgery & All radiological procedures. The Department is running 30 bedded intensive care facility (SICU, MICU, RICU, PICU, NICU) with ventilators and state of art equipments under the guidance of qualified intensivist. 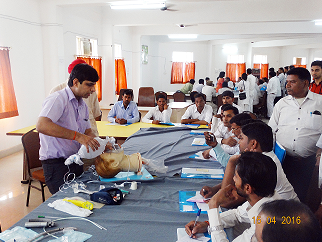 The Department is running success PAC(Pre Anaesthetic Checkup) clinic daily. The Department is running Pain Clinic Twice a week. The Department has Human Patient simulator (HPS) on basic resuscitation. The Department is also providing regional Anaesthesia/Analgesia and Labour analgesia to the patients. There is a department library with well equipped books, Journals & has access to many online Journals. There is a departmental Museum. Well establish department with computer facilities. 20.08.2012 - National conference held in coordination with Lucknow City Branch of ISA on Standard Practice of Anaesthesia & Critical Care Organizing secretary Prof. Neetu Chopra. 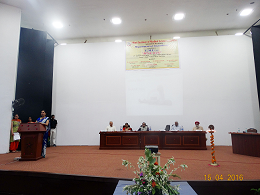 15.04.2016 - ALS & BLS workshop at Medical College Auditorium (HIMS, Barabanki) Organizing secretary Prof. Archana Agrawal.